Indian Railway 2018 Jobs Recruitment Notifications. RRB has released official notifications for the posts of Track Maintainer and More Vacancies across India. Check the eligibility and official notification prior to apply for the positions. 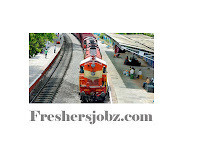 Post Details: The posts covered are Track Maintainer Grade IV (Trackmen), Galeman, PointsMan, Helpers in Electrical/Engineering/Mechanical/Singal and Telecommunications departments, Porters etc. For complete list and details of posts refer to detailed CEN Published on the websites of RRBs. Online Registration Starts From : 10-02-2018.